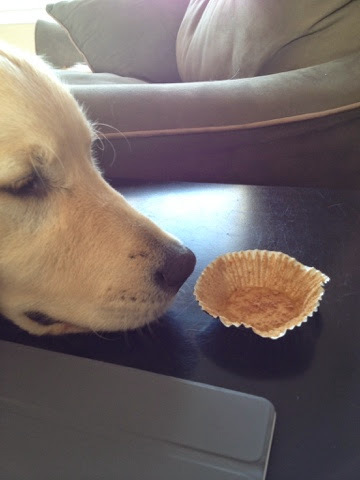 Hmmmm, I wonder where the cupcake went?!? Happy WW! BOL where did it go? Have a wonderful Wednesday. Looks like someone beat ya to the draw there! WHO ATE MY SNACK? call the police department Mom! Clearly, some little piggy ate your cupcake. Shame on them! Oh no, there are some crumbs left behind! Humans just don't understand the value of every little food particle. I would probably eat the paper, too, to really savor that cake! Cute candid pic! Happy belated WW!